COLUMBIA, SC (WIS) - Get out there and enjoy the beautiful weather today because by Monday evening we’re watching the potential for showers and storms. Some storms may be strong. 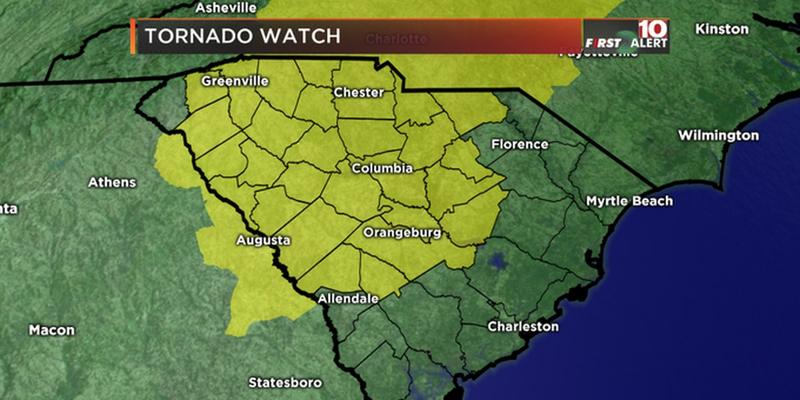 An Alert Day has been posted by your First Alert Weather Team! · Just BEAUTIFUL weather today with 70s along with sunshine! · Staying dry as well. 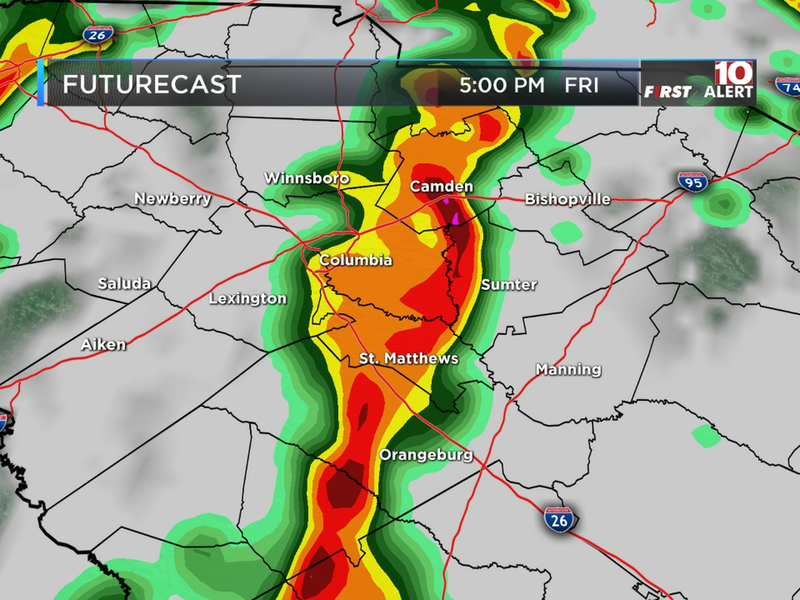 · A cold front brings rain to the Midlands Monday evening into early Tuesday. In fact, Monday is an Alert Day for the potential of isolated thunderstorms. Some storms may be strong to severe. 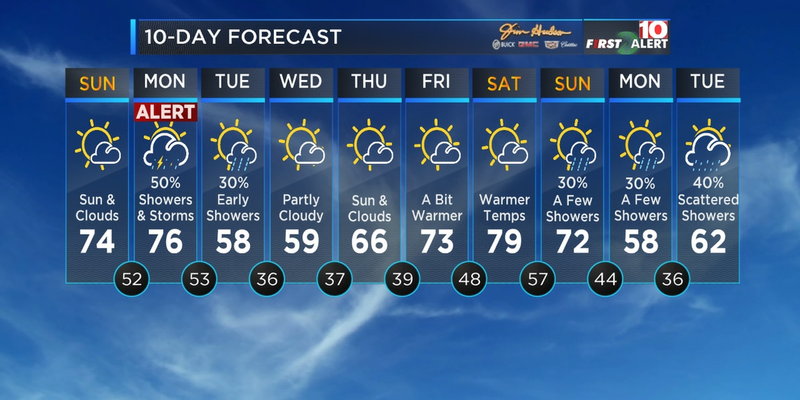 It was a chilly start for many across the Midlands this morning but we have some good news for you, this afternoon features sunshine with highs in the mid 70s! It will also be nice and dry for anyone going to the NCAA basketball games and will be walking around downtown. By Monday evening we’re watching for the potential for isolated showers and storms across the Midlands. Some storms may be strong to severe. Hey, we need some rain to knock out the pollen in the air! Monday is also an Alert Day! 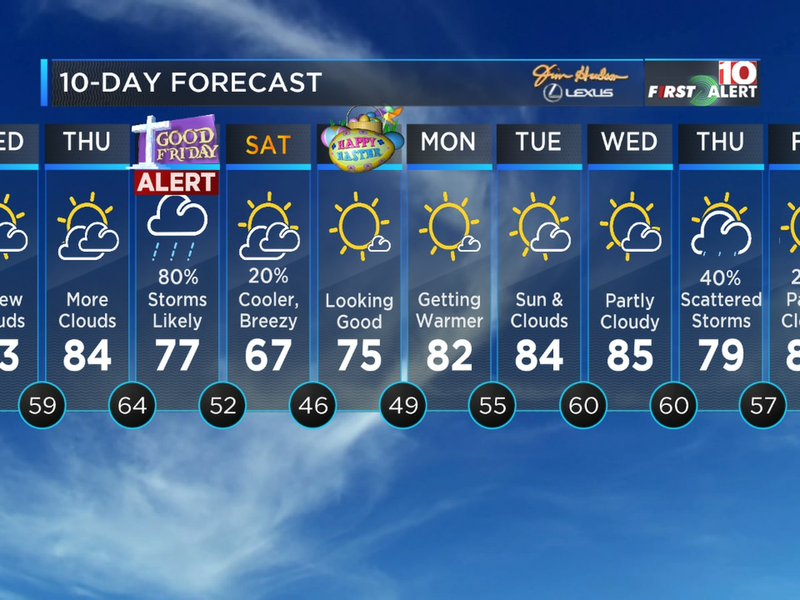 Rain chances will go up through the day as a cold front moves into the Midlands. Highs will climb into the low to mid 70s by afternoon. Now a few rain showers will linger into early Tuesday morning but after the front moves through, it really does some damage with our temps because highs on Tuesday will only be in the 50s! Fortunately, well see those temps rebound by Thursday and Friday getting back into the 60s and 70s! Today: Sun and clouds. Warmer too with highs in the mid 70s. Tonight: Quiet and mild with lows in the 50s.